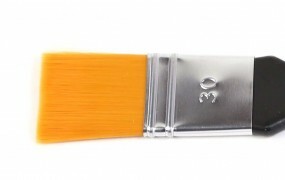 Synthetic Brush for Instacoll-Gilding, No. 1,5 in | Gilding Brushes | Various Special Brushes | Brushes | Kremer Pigments Inc. Customer evaluation for "Synthetic Brush for Instacoll-Gilding, No. 1,5 in"